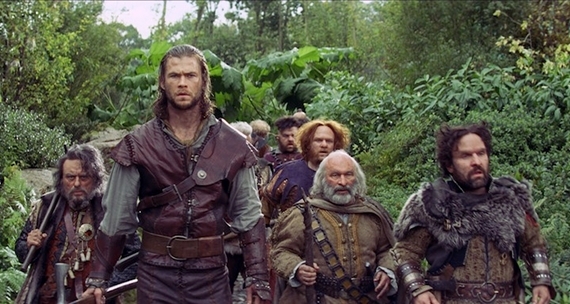 The September 11th release of Snow White and the Huntsman Blu-ray combo pack also comes with DVD, Digital Copy and UltraViolet. Not only is it packed full of bonus features, it includes a never before seen extended edition. “Skin as fair as snow, lips red as blood, hair dark as a raven's wing,” Hemsworth's voice narrates. Snow White's mother wishes for a daughter with the “strength of a rose that blooms in winter.” As much as you've heard how dark this film is, never fear, it is also full of magnificent innocence. There are moments so enchanting it brought tears to my eyes. In this spectacular action-adventure, Kristen Stewart (Twilight) is Snow White, the only woman in the land fairer than the evil queen Ravenna (Oscar winner Charlize Theron). Ravenna wants nothing more than to destroy her young rival, but she doesn't know that Snow White has been training in the art of war with a huntsman (Chris Hemsworth) the queen dispatched to kill her. 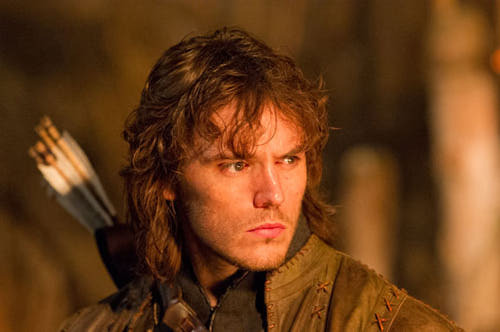 Together with a handsome prince (Sam Claflin) enchanted by Snow White's beauty and power, they assemble an armed force to recapture the kingdom. This breathtaking new vision of the legendary tale from Joe Roth, the producer of Alice in Wonderland and acclaimed director and state-of-the-art visualist Rupert Sanders is, in the words of Shawn Edwards, Fox-TV, "A film that soars with creativity, stylistic genius and amazing battle scenes."